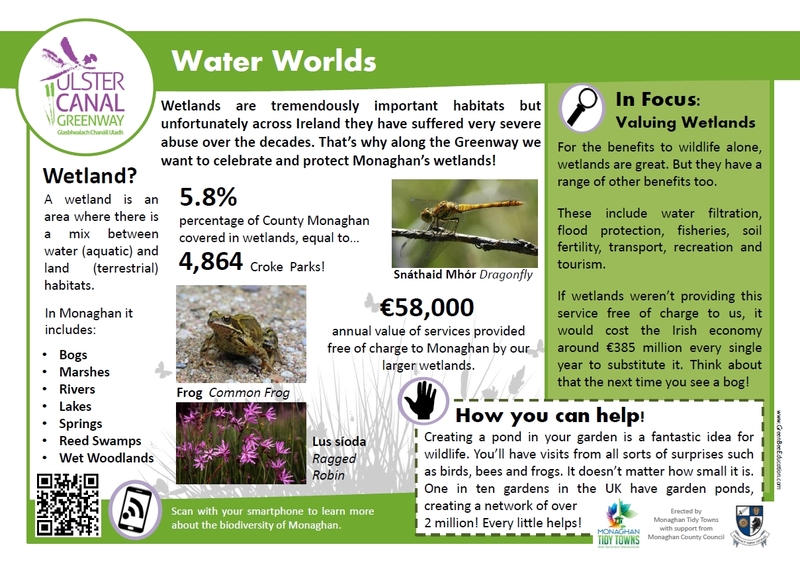 From the beginning of the Monaghan Town Greenway project, we were aware of the importance of the Ulster Canal as a wildlife corridor. It presented a unique seed bank repositary, as areas along the canal had been uncultivated for almost 100 years. As the area had been largely undisturbed, some very important habitats for local wildlife had also developed. 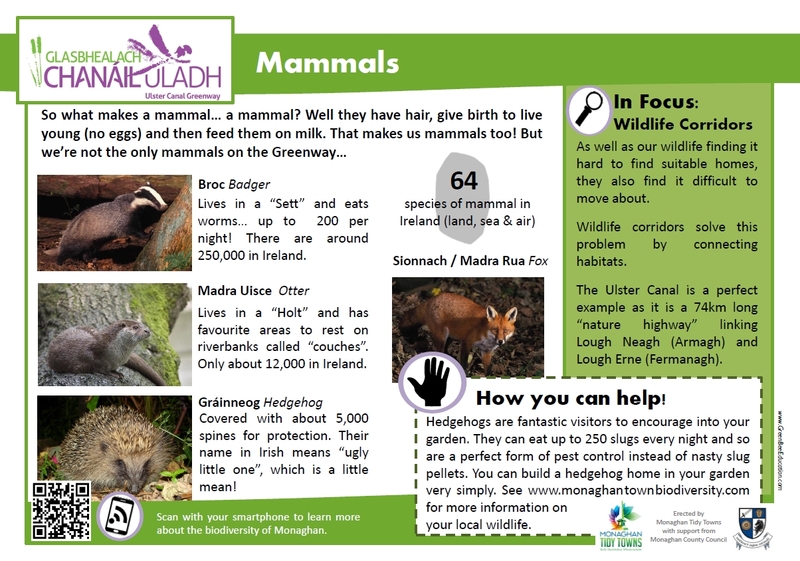 We enlisted some environmental experts we knew were also interested in the ecology of the Ulster Canal, and asked them to advise us on how best to conserve the canal’s habitats during construction of the Greenway. 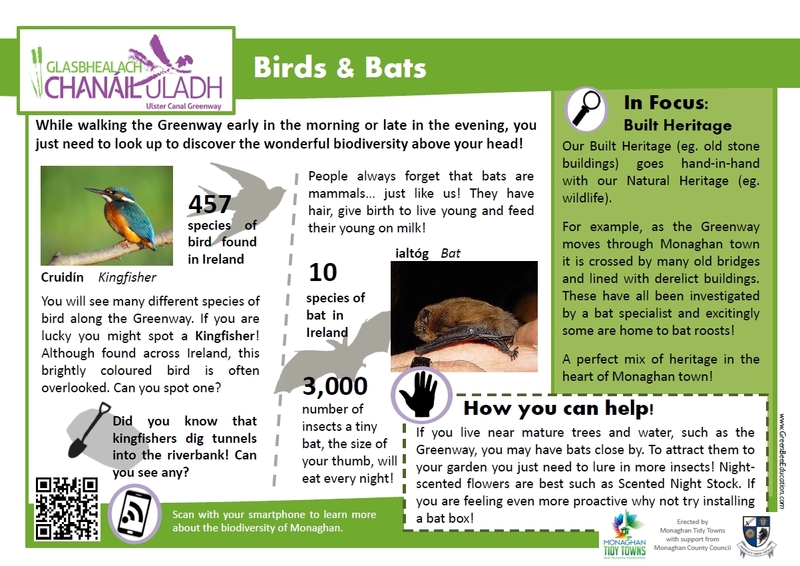 We also asked them to advise how we might best use the Greenway as an awareness-raising and educational tool to promote the importance of biodiversity to the general public, and how we could protect teh environment into the future. The group oversaw the work, and put together a Biodiversity Management Plan for the new Greenway. 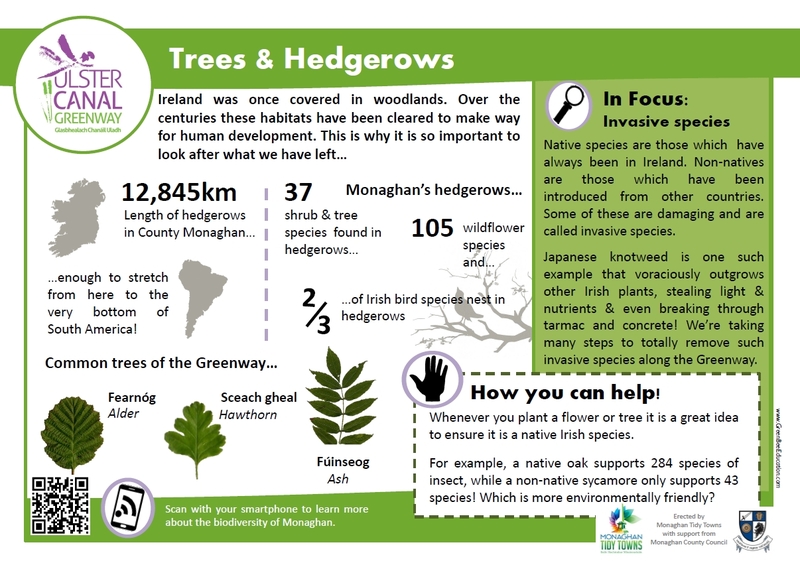 Monaghan Tidy Towns is taking the lead role in rolling out biodiversity measures along the Greenway in its quest to make Monaghan a Biodiversity Town. Work started back in 2010 when Monaghan County Council provided tidy towns groups with training in how to conduct a Habitat Survey. 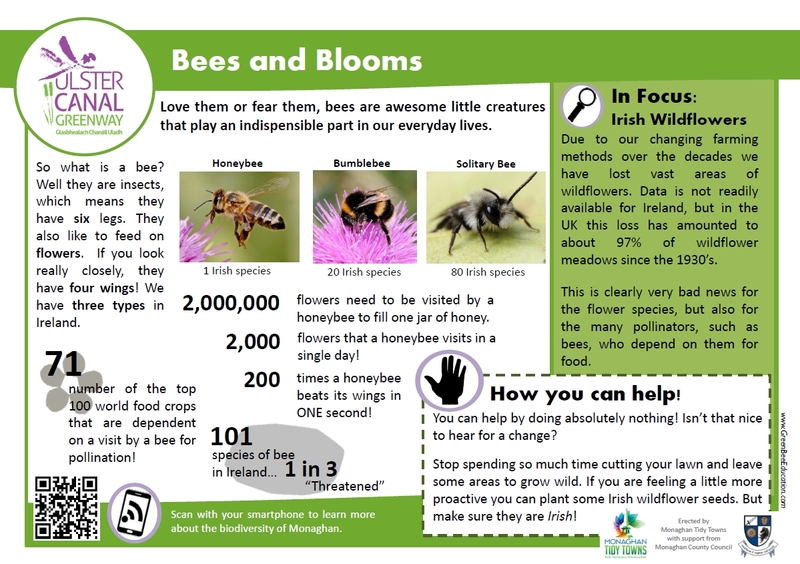 Ever since, Monaghan Tidy Towns has adapted its work to promote the biodiversity agenda. Everything from the type of flower and tree planted, to the way grassy areas are managed, is done in a way that maximises the value of the habitat to wildlife.